Today’s holiday commemorates the date in 1920 when the 19th Amendment to the Constitution granted women the right to vote. The observance of Women’s Equality Day also calls attention to women’s continuing efforts toward full equality, including equal pay, equal opportunities for education and employment, freedom from discrimination and violence, and equal standing in all communities and situations. Workplaces, libraries, organizations, and public facilities now participate with Women’s Equality Day programs, displays, video showings, or other activities. Ruth Bader grew up during the 1940s in Brooklyn, New York’s multicultural neighborhood. It was a time when boys were educated for jobs and bright futures while girls were expected to marry and raise children. Ruth’s mother, Celia Amster Bader, however, “thought girls should also have the chance to make their mark on the world.” She introduced Ruth to books in which she discovered women who used their strength, courage, and intelligence to do big things. Image copyright Elizabeth Baddeley, text copyright Debbie Levy. Courtesy of simonandschuster.com. During elementary school, Ruth was outstanding in some classes, such as history and English, and did not do so well in others, such as sewing and cooking. Music, especially opera, was another favorite subject—even though she did not have the voice to match her dreams. She excelled in high school and was even chosen as a graduation speaker. But Ruth had been hiding the fact that her mother was very ill. The day before graduation, her mother died. Ruth did not go to her graduation, but she did fulfill her mother’s wish and entered college. In college Ruth met Marty Ginsberg, and the two fell in love. They both decided to become lawyers to fight prejudice and unfairness in court. People thought this was a great idea for Marty, but disapproved of it for Ruth. “Ruth disapproved right back. So did Marty.” After college they got married, went to law school, and had a baby girl. “In 1993, Justice Ruth Bader Ginsburg became the first Jewish woman on the nation’s highest court.” When the nine justices decide a case, they listen to both sides and then vote. The winning side then writes an opinion explaining their ruling. When Justice Ginsburg votes with the winning side, she wears a special lace collar over her robe. When she does not agree with the ruling, she says, “I dissent” and writes an opinion explaining why. She has a special collar for dissenting too. Some of her dissensions were influenced by her early experiences. She dissented when “the court wouldn’t help women or African Americans or immigrants who had been treated unfairly at work. She dissented when the court did not protect voting rights for all citizens. She dissented when the court disagreed with schools that offered African Americans a better chance to go to college.” And once when she dissented, Congress and the president agreed with her and overturned the Supreme Court’s ruling. An extensive Author’s Note about Ruth Bader Ginsburg’s life, notes on Supreme Court Cases, and a selected bibliography follow the text. Debbie Levy’s outstanding biography allows readers to journey with Ruth Bader Ginsburg as her experiences and beliefs lay the foundation for her life’s work. Well-chosen anecdotes from Ginsburg’s childhood make her accessible to kids and may even inspire them to look toward their own futures. Ginsburg’s trajectory from college student to lawyer to judge and finally to the Supreme Court is balanced and uplifting, emphasizing the positive impact of persistence and self-confidence. Elizabeth Baddeley’s illustrations go hand-in-hand with Levy’s text to fully illuminate the life of Ruth Bader Ginsburg for children. Ginsburg’s intelligence, sense of humor, courage, and principles are evident as she matures from school girl to Supreme Court Justice. Dynamic typography highlights the theme of dissent and disagreement as a force for positive change. The color, expression, and spirit imbued in each page make I Dissent: Ruth Bader Ginsburg Makes Her Mark an exciting and eye-catching read for all children. I Dissent: Ruth Bader Ginsburg Makes Her Mark is a superb and recommended book for girls and boys. The book’s focus on a woman who continues to make a difference will inspire children and even adult readers to speak up and act on their convictions. To learn more about Debbie Levy and her books for children and young adults, visit her website! Discover a gallery of illustration by Elizabeth Baddeley on her website! Rosie the Riveter became a symbol of strong women during World War II and continues to be an iconic figure today. 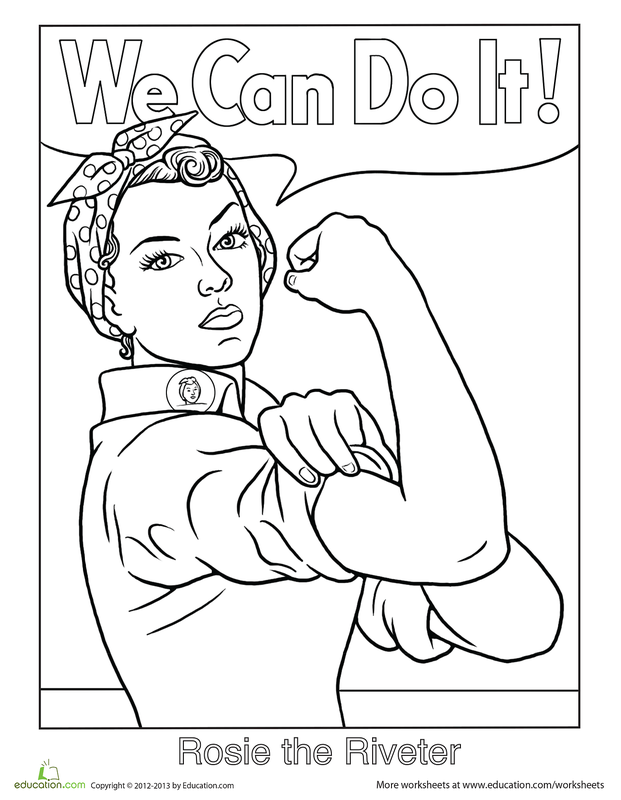 Print and color this Rosie the Riveter Page then display it to always remember that women can do anything! If you live in a cold climate and cabin fever has set in or if you live in a warm climate and want to get out and enjoy the day, why not take the opportunity of today’s holiday and go fly a kite? Whether you’re steering a simple diamond or a fancy dragon, watching a kite dip and soar through the sky is an exhilarating experience! “I love to fly kites,” young Tai Shan relates, but not he’s while standing on the ground. Instead, because his city is so crowded, his Baba and he climb to the peak of their triangular roof where they are “above but still under, neither here nor there. We are free, like the kites.” While they fly their kites—red for Tai Shan and blue for Baba—Baba tells stories, and Tai Shan feels as if he is soaring through the clouds, “looking down at the dotted houses” and wanting to stay up there forever. But one day dark times descend. Tai Shan’s school and many others are shuttered. Baba is taken away by men in red arm bands and sent to work in a labor camp. Tai Shan is sent to live with Granny Wang, a farmer who lives in a village next to the labor camp. A thick forest separates Tai Shan and Baba. During the day Granny Wang teaches Tai Shan how to make straw grasshoppers and spin cotton and lets him ride her buffalo. At night Tai Shan dreams of flying kites from the rooftop with his father. On Sundays Baba walks for hours to visit Tai Shan. He spends time telling stories and playing with his son and his friends. Then they climb the hill and fly kites, Tai Shan’s red one following Baba’s blue. “The kites hop and giggle as they rise and dive, soaring and lunging together.” At the end of the day, Baba returns to the labor camp for another week. In the autumn Baba tells Tai Shan that he won’t be able to visit for a long time. But he has a clever plan—a way that he and Tai Shan can see each other. Every day Tai Shan sends his father a silent message—“‘How are you, Baba? I miss you.’” and “Baba’s blue kite swirls and circles, replying, ‘I miss you, too, little Tai Shan.’” Autumn is coming to a close, but still Baba does not visit. One day no blue kite appears in the sky. The next day and the next no kite appears either. Tai Shan asks Granny Wang to take him to the camp to see Baba. If there is no kite on the fourth day they will go, Granny Wang promises. That night Tai Shan dreams about the thick forest and hears Baba whisper, “‘Tai Shan, I saw your red kite fly so high.’” But these words are not in a dream, Baba is there. But Baba is not home to stay. Hurriedly, he gives Tai Shan his blue kite, telling him that he will not be able to fly it for a while. He asks Tai Shan to fly both kites and know that he is looking up and thinking about his son. Suddenly, men with red armbands rush in and take Baba away. Tai Shan tries to run after him, but Granny Wang holds him back. Tai Shan cries and does not understand. Granny Wang explains that Baba is being sent to another labor camp far away because the authorities don’t agree with his ideas. During the three days when he didn’t fly his blue kite, Granny Wang says, Baba had been imprisoned. He had escaped and run all the way to see Tai Shan before he was taken away. Now Tai Shan flies the two kites every day and thinks of being together with Baba. An Author’s Note about the Chinese Cultural Revolution follows the text. Inspired by the story of a family friend whose father was sent to a labor camp during the Chinese Cultural Revolution between 1966 and 1976, Ji-li Jiang wrote Red Kite, Blue Kite “for the many fathers and sons who suffered during that turmoil.” Jiang’s story is a universal and relevant reminder of the precious freedoms of thought and speech that need constant and vigilant protection. Through her sensitive storytelling and lyrical language, Jiang offers a story of understanding, hope, and infinite love that will fill readers’ hearts. Greg Ruth’s stunning paintings show all the emotion of Jiang’s story through exquisite, realistic portraits of Tai Shan, Baba, and Granny Wang. The distinctive landscapes of China are rendered in colorful foregrounds set on gauzy backgrounds of rising hills. Smoky images of the followers of the Cultural Revolution mirrors the darkness and destruction of the time in a way that is understandable for the young audience. The final two-page spread of Tai Shan and Baba’s reunion amid dozens of red and blue kites is inspiring and full of the strength of the human spirit. Red Kite, Blue Kite is a must for school and public libraries and makes an excellent addition to home libraries as well. For a downloadable Educator’s Guide click here. 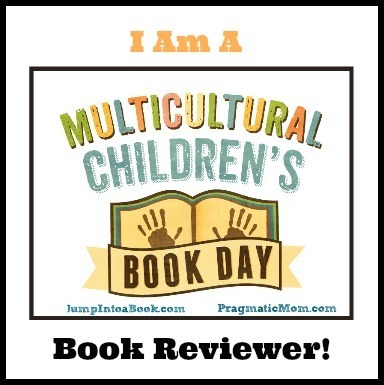 Learn more about Ji-li Jiang and her books on her website! Find galleries of books and illustration for children and adults plus lots more on Greg Ruth’s website! The dips and rises your pencil takes through this maze is a little like the way a kite flies through the sky! Print your Soaring Kite Maze and enjoy! National Freedom Day commemorates the February 1, 1865 signing by President Abraham Lincoln of a joint United States House of Representatives and Senate resolution that outlawed slavery and later became the 13th Amendment to the Constitution. Major Richard Robert Wright Sr., a former slave, called on local and national leaders to meet in Philadelphia and formalize a national day of remembrance. In 1947, a year after Wright’s death, the U.S. Congress passed a bill marking February 1 as National Freedom Day. The proclamation was signed into law on June 30, 1948 by President Harry S Truman. The holiday led to Black History Day, which was later expanded to Black History Month. From sunup to sundown slaves brought to the state of Louisiana from their homelands in Africa and the West Indies toiled on plantations six days a week. The seventh day, Sunday, was set aside as a day of rest and worship, and in the afternoon people of African descent gathered in Congo Square in the heart of New Orleans to dance, play instruments, and talk. On Monday morning the long week began anew, but the rhythms of Congo Square sustained the men, women, and children through “hogs to slop, / mules to train, and logs to chop. / Slavery was no ways fair. / Six more days to Congo Square. Through powerful rhythmic couplets, as spare and austere as the work they describe yet ending in a focal point of hope, Carole Boston Weatherford recreates the steady thrum that resonated in the hearts of slave and free men and women as they anticipated each afternoon in Congo Square. As the days remaining until Congo Square are counted off, Weatherford’s predominantly one-syllable words form a staccato beat, the pounding of hard, physical work. When Sunday comes and people find joy in their shared music and dance, Weatherford’s phrasing within the same structured couplets rises, employing multi-syllable words that give the verses a pulsing flow that echoes the freedom they find in Congo Square. Gregory Christie’s vivid folk-art illustrations are a perfect complement to Weatherford’s verses. The elongated figures stand tall and proud amidst the fields and workrooms of the plantation. In some scenes the slaves’ angled bodies, leaning over to pick cotton, wash floors, or lift baskets may be bent, but they are not broken, and while two men work on building a wall, they seem to kneel prayerfully as they add another brick. In a moving two-page spread set at night, brown wood-grain houses superimposed with rows of sleeping slaves float on a blue-toned ground below a red sky, reminiscent of ships laden with Africans sailing the Middle Passage of the Atlantic slave trade. As the men and women congregate in Congo Square, Christie’s lithe figures raise their arms and kick their legs in dance. The fiery backgrounds swirl with color as the celebrants jump, stretch, play instruments and move with exultation. A detailed Forward by historian and Congo Square scholar, Freddi Williams Evans and an Author’s Note following the text reveal more information on the history of Congo Square and its significance to Jazz music. Freedom in Congo Square is both a heartrending and jubilant book that would make a wonderful and meaningful addition to any child’s home library. Learn more about Carole Boston Weatherford and her books and discover book-related resources on her website! If you’re lucky enough to live in Decatur, Illinois, you can visit R. Gregory Christie’s unique art studio, art school, and bookstore Gas-Art Gifts Autographed Children’s Bookstore. If you don’t live near Decatur, you can check out all the books, art, and items for sale on the website! Martin Luther King Jr. Day celebrates the life and legacy of the man who dedicated his life and work to teaching—as Coretta Scott King stated—“the values of courage, truth, justice, compassion, dignity, humility and service” and led a non-violent Civil Rights movement to enact racial equality and justice throughout state and federal law. President Ronald Reagan signed the holiday into law in 1983, setting it on the third Monday of January to coincide with Martin Luther King, Jr.’s birthday on January 15. The holiday was officially observed in all 50 states in 2000. Today, learn more about the life and work of Martin Luther King and how you can help promote justice and equality for all. Consider volunteering in your community where help is needed. It was a difficult lesson when all around him he saw inequality. White schools had better equipment, there were different elevators, bathrooms, water fountains, and other facilities for black people and white people, on buses black riders had to give up their seats to white riders. Everywhere black people and white people were segregated. When Martin was only 15 he was admitted to college. At 19 he entered the seminary where he learned about civil disobedience and nonviolent resistance—ways to use “love and peaceful methods to change unfair things in society.” These were lessons Martin wanted to share with others. His chance to put his thoughts into action came when Rosa Parks was arrested for refusing to relinquish her seat to a white man. Martin advocated a peaceful protest—a boycott of public buses. He reasoned that without the money from black riders, the bus companies would change their policies. As the boycott began working, Martin gave a speech in Montgomery, Alabama, motivating people to continue their peaceful protest. Martin was put in jail and his house was bombed, but the boycott continued for more than a year. Eventually, the bus companies changed their rules. Other peaceful protests began to take place in restaurants and other public places. One protest took place in Birmingham, Alabama. Martin was again put in prison, where he wrote one of his most famous speeches. Children also took part in the Birmingham protest. The Children’s Crusade attracted more than 1,000 kids. On the first day 900 of them were arrested, but that only inspired the children more. On the second day 2,500 children showed up. They stood firm while they were sprayed with water hoses and attacked by police dogs. People—both black and white—watching the news reports were aghast. Three months later the rules began to change. “By the summer of 1963, an estimated one million Americans held their own protests in cities across the country.” Then A. Philip Randolph suggested a single huge march to convince “Congress and the president to pass laws so that no one in America can treat people differently based on skin color.” On August 28, 1963 the March on Washington for Jobs and Freedom took place. Martin gave what may now be considered his most famous speech in which he talked about his dreams for the country, for the people, and for their children. Although Congress began passing new laws, the ability and right to vote in elections still eluded black people. To change the voting rules another march was organized to walk 54 miles from Selma to Montgomery Alabama. The 600 walkers were met by police who stopped them. Two days later 2,500 activists tried again but could not get through. On the third try 8,000 marchers showed up. This time, with the world watching on television, the activists made it to Montgomery, protected by troops sent by President Johnson. Brad Meltzer’s Ordinary People Change the World: I am… series of biographies are well-known for showing young readers that they can achieve their dreams and make a difference no matter what those hopes may be. In his biography of Martin Luther King, Jr., Meltzer depicts several incidents from King’s childhood and early adulthood that influenced his future work. These help readers understand not only the types of prejudice King and other African Americans experienced, but also the people who inspired his philosophy of peace. Meltzer’s inclusion of King’s imprisonments and the violence that met the peaceful protesters deepens the understanding of the dangers King and other protesters faced, and provides an opportunity to open a discussion between adults and children about those times and what they now see in the news. Meltzer’s description of the Children’s Crusade will inspire readers, making them proud of children in the past and stirring them to actions of their own. Sections from King’s Letter from Birmingham Jail and his most famous speeches are presented in speech bubbles. The text is followed by photographs of Martin Luther King, Jr. with his family and at the March on Washington as well as a timeline of his life. Sources and resources for further reading are also included. In keeping with the style of all of Meltzer’s and Christopher Eliopoulos’s Ordinary People Change the World: I am… biographies, the illustrations are vibrant and cartoon-inspired. Martin Luther King, Jr. is depicted with the size of a child but the features of an adult, reinforcing the idea contained in the text of the dual nature of the future adult residing in the child and the ideals of the child remaining in the adult that appeals to ambitious young readers. Speech bubbles highlight text that carry emotional dialogue. Settings, including churches, Birmingham jail, Washington DC, the Edmund Pettus Bridge in Alabama, and the Martin Luther King, Jr. monument give children a look at the cities and places described in the text. For young readers, I am Martin Luther King, Jr. offers a comprehensive biography of the man who was a national and world leader in the fight for equal rights for all people and makes an excellent starting place for classroom lessons and personal discussions. Discover more about Brad Meltzer and his books for adults and children as well as other goodies on his website! Learn more about Christopher Eliopoulos, his books, and his comics on his website! Color this printable Martin Luther King, Jr. Portrait and then hang it in your room or locker to inspire you! December is Human Rights Month, an observance established by the United Nations in order to raise awareness of, promote, and protect the equality of the world’s citizens. It takes vigilence, compassion, dedication, and determination, but achieving the goal of equal human rights is a responsibility we all share. As Emmanuel grows, his mother encourages his independence. He learns how to crawl and hop to complete his daily work all with one leg. Most kids with disabilities don’t go to school, but Comfort carries her son back and forth until he becomes too heavy. From then on Emmanuel hops the two miles each way all by himself. At first the other kids won’t play with him, but Emmanuel is clever. He buys a soccer ball with the money he earns shining shoes and when he offers to share it, the kids include him. On crutches he is a fierce competitor and earns his classmates’ respect. Riding bikes is another favorite activity. Can Emmanuel pump those pedals with only one leg? He practices and falls, practices and falls some more until he masters the technique. When Emmanuel is 13 years old, his mother becomes ill. As the only family member capable of working, Emmanuel takes a train to a city 150 miles away to find a job. He doesn’t see his family again for two years. Because of his disability it is hard for him to find work. Finally, a food stand owner hires him and gives him a place to live. Over time Comfort grows sicker. When Emmanuel goes to be with her, she tells him to never beg and never give up. He takes these words to heart. Emmanuel talks to others with physical challenges and to those without. He meets farmers, landowners, government officials, and reporters. He wants everyone to learn of his message. People begin to pay attention—they ride and run alongside him; people with disabilities come out of their houses to see him (some leaving home for the first time ever). Emmanuel is becoming a national hero! Emmanuel completes his journey—nearly 400 miles—in only 10 days. In that short amount of time he proves that anyone can do great things and that one person is enough to change the world. An Author’s Note expanding on Emmanuel Ofosu Yeboah’s life since his bike ride follows the text. Laurie Ann Thompson tells this story of courage and achievement in straightforward language that highlights the difficulties and prejudices Emmanuel overcame to live the full life his mother envisioned for him. The details Thompson reveals—both within the school setting and in the world beyond—will inspire anyone who reads this special and moving true story. Sean Qualls renders the story of Emmanuel Ofosu Yeboah in the vibrant colors and patterns of his native West Africa, giving energy and spirit to the fire that burned inside the young boy who rose above his disability and the expectations of his community. His relationship with his strong, supportive mother is drawn with obvious love and compassion. The use of a folk-art style combined with scenes of African markets, landscapes, and traditional tableaus, effectively sets the story for children. One particularly touching illustration shows a tiny Emmanuel hopping off to school as his mother, shown larger in the foreground, watches. Discover more about Laurie Ann Thompson and her books on her website! To view a gallery of picture book illustration by Sean Qualls, visit his website! You can make a difference in your school, your town, and the world around you. Here’s a printable Change Your World message that you can color and hang in your room or locker to remember how much power you have.